2016 looks to be a promising year for movies already. By leaving 2015 with a bang with the success of Star Wars:The Force Awakens. The year will need to have something special to continue the high that we left 2015 with. There is certainly a lot of promise for the upcoming year with a year full of continuations from many franchises. There is a lot to look forward to this year and here are the top 10 movies that I am looking forward to in 2016. The live action version of the Disney classic based on the book by Rudyard Kipling looks to be a cracker. 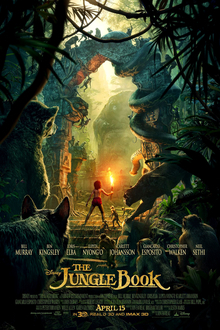 A star studded cast portraying the characters with the likes of Bill Murray voicing Baloo as well as Ben Kingsley, Scarlett Johansson and Idris Elba lending their talents. A film that looks visually beautiful with a lot of CGI effects looks to capture the heart of the animated version which hit screens almost fifty years ago. I have high hopes for this film and with the cast involved I at least hope it is fun and entertaining. I thoroughly enjoy the Harry Potter films. I would argue strongly that it is one of the best movie franchises of all time with several great movies. Fantastic Beasts looks to be a prequel of the Harry Potter franchise which seems to be very interesting. With Eddie Redmayne leading the project, I am really looking forward to returning to the world filled with Witchcraft and Wizardry. Another film being based on the writing work of JK Rowling is something to be excited for in 2016. Will Leo finally get the Oscar this year for his role in The Revenant? Will Alejandro G. Inarritu pick up another Best Director award? Will Tom Hardy even be nominated for an Oscar? All will be told when The Revenant hits the screens. The film also looks to be beautifully shot which looks to be another reason to see what looks like a certainty to be good. 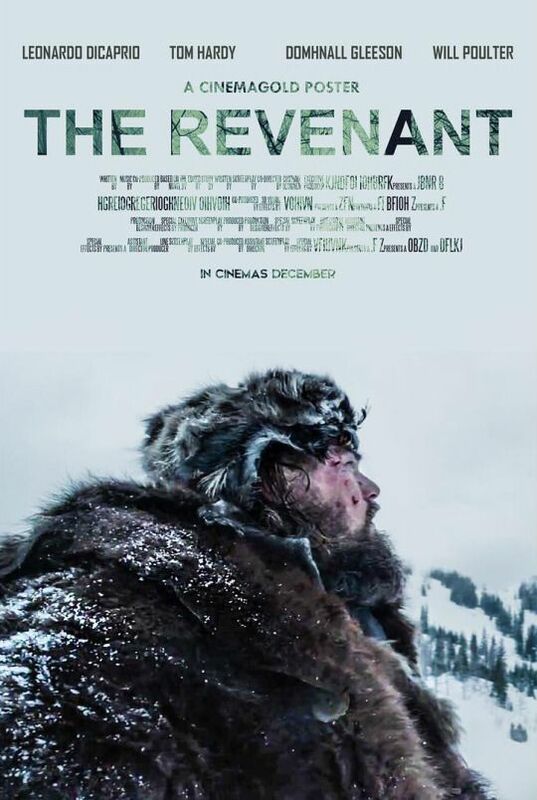 With great reviews already and a fantastic trailer, I have high hopes for The Revenant. Marvels attempt to re establish the character Deadpool as they messed him up so badly in the Wolverine films. 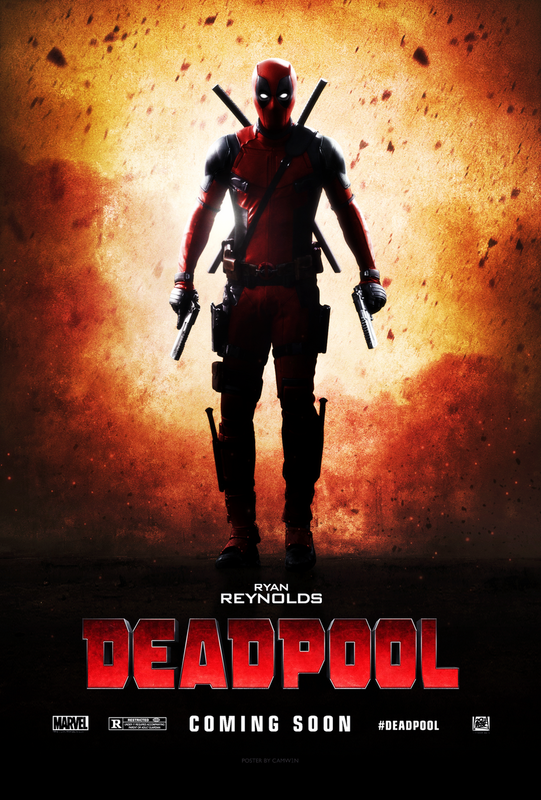 Now Ryan Reynolds is back in this rated R comedy which looks to differentiate from the usual Marvel films. A proper violent and comical film from Marvel looks to be very interesting as it is not what the studio would usually produce in a superhero movie. This may be a breath of fresh air to the superhero genre. As a fan of the Marvel movies, I eagerly anticipate this one. Lets just hope that this is better than Reynolds previous attempts in superhero movies. As a big fan of the Rocky movies, Some of the most entertaining and also inspiring movies that are very enjoyable to watch. I am very excited to see the newest instalment in Creed. With Sylvester Stallone returning as Rocky who looks to teach the deceased Apollo Creed's son Adonis how to be a boxer. With many obstacles in the way, it will be very interesting to see what new things Creed will bring to the franchise. A must see for me and I cannot wait for this to come out next month. This should be much higher in my list. It's Batman v Superman. Two of the greatest characters ever created coming together on the big screen for the first time in history. This is monumental. However, they released a certain trailer. And then a lot of my excitement went away. Too much was shown which makes this further down in my list. 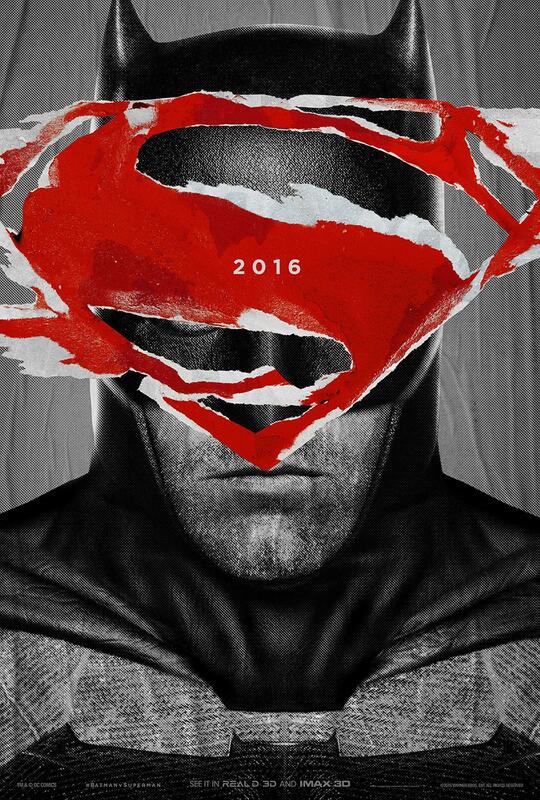 However it is still Batman v Superman and that is something to be excited about. Although I have my concerns, I cannot deny that I am looking forward to seeing this in March. Unlike Batman v Superman, we haven't seen much from Suicide Squad. However from what we have seen so far I have been impressed. I have no qualms about Jared Leto being The Joker and am looking forward to see what new spin he will put on the character. I am also much more interested in the villains of the DC universe so I am looking forward to seeing more of these interesting characters such as Deadshot, Killer Croc and of course Harley Quinn. Also this is the first time we will be watching a movie that is from the view of villains which I feel will be very interesting and fresh. X-Men First Class and Days of Futures Past have both been some of my favourite superhero movies made. The new cast including James McAvoy, Michael Fassbender and Jennifer Lawrence have been excellent additions and makes me even more excited for Apocalypse. Also after seeing Oscar Isaac in Ex Machina and Star Wars last year, I am thoroughly looking forward to seeing more of his work. Also with Bryan Singer directing once again, there is high hopes for this one. It is also the first X-Men without Wolverine so it will be interesting to see how they cope without the iconic character. I need more Star Wars. It's such a shame that we don't get Episode VIII until 2017 but at least we have Rogue One to keep us occupied until then. I will take any Star Wars right now but we also have to wait until December for this part of the Star Wars saga. A new look at Star Wars as it looks to follow the fighter pilots looks to be interesting especially with Poe Dameron being one of my favourite characters from The Force Awakens. The magic of Star Wars is back and quite frankly, I'd be excited for anything Star Wars right now. 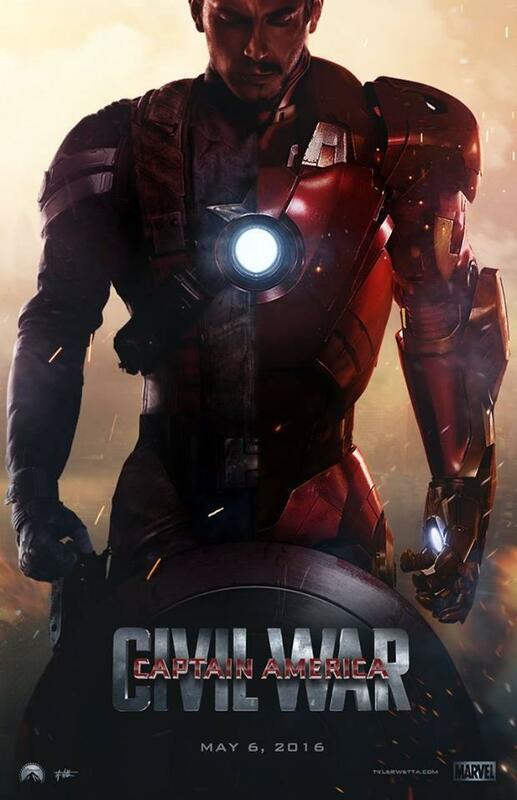 My number one most anticipated film for 2016 is Civil War. I'm a huge fan of the Marvel Cinematic Universe and Civil War looks to feature almost all of the characters we love and will also be interesting many new ones. Also with it being a major story in the comic books, it shall be interesting to see how they compare and if it will do it justice. By far Marvels biggest movie this year has a lot of mouths to feed in what looks to be great. Another huge blockbuster coming from Marvel which has the potential to be their biggest hit yet. The footage that we have seen and the story has made me very excited for Civil War as it tops my list for my most anticipated movie in 2016. 2016 looks to certainly be an exciting year for movies. The superhero genre seems to be taking control over this year with many huge and monumental movies coming from Marvel and DC. A lot of additions to franchises with new stories from the worlds of Harry Potter and Star Wars. 2016 will most definitely be an exciting year with hopefully a lot of great action. There are obviously a lot of films that will be coming out that did not make my list so if there is something that you don't see on here and that you are looking forward to seeing, feel free to comment and say what you are looking forward to. Once again, thank you for reading and I hope you have a happy new year!